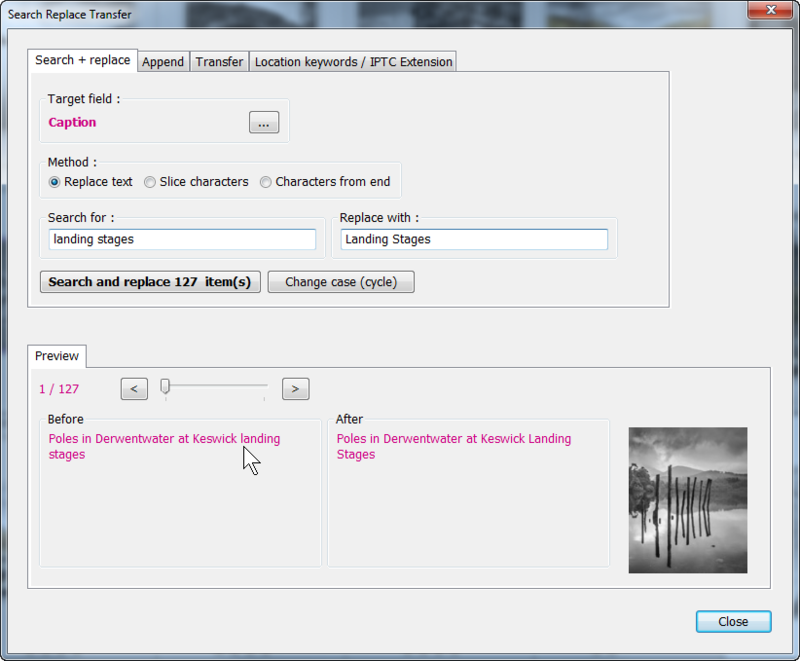 Search Replace Transfer is a Lightroom (version 2 or greater) plug-in designed for bulk changes to text in Metadata Panel fields. The plug-in also provides a number of custom fields where you can store metadata which doesn't fit in EXIF or IPTC fields, and a mechanism for copying metadata from iView Media Pro. Search Replace Transfer works on Lightroom 2 or later.